I’ve been busy with many aspects of my life lately, an haven’t had as much time to cook elaborate meals very often: enter the slow cooker. it’s been super fun to play with now that I got a much larger one, and I’ve been veganizing many non-vegan recipes I have found online this month for leftovers. 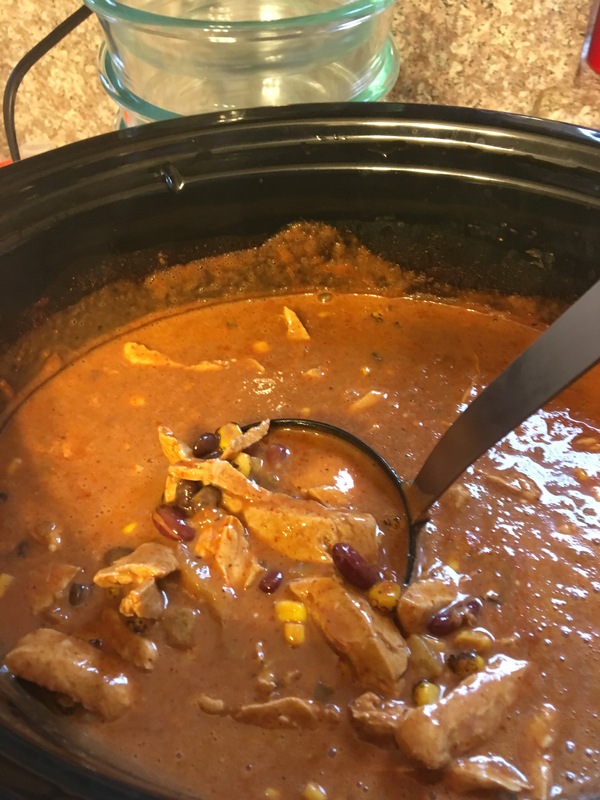 Today’s recipe is my veganized version of a Chicken Enchilada Chili. I put all the ingredients in the slow cooker except the toppings and cooked on high for 4 hours.